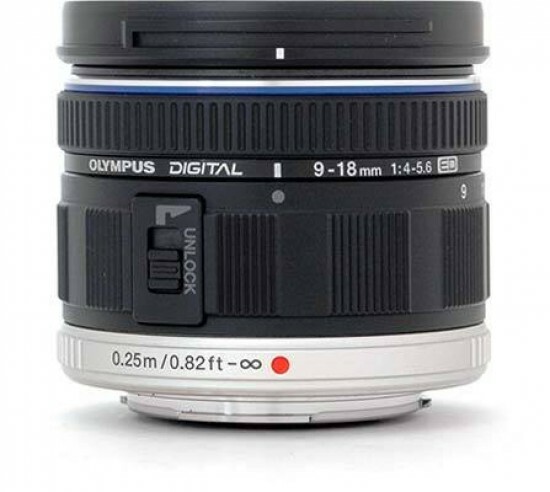 The Olympus M.ZUIKO Digital ED 9-18mm f/4-5.6 is a positively tiny ultrawide-to-wide zoom lens that will likely impress most wide-angle enthusiasts in the Micro Four Thirds camp. Its sharpness is pretty good for its class throughout most of its zoom range, with only the extreme borders being somewhat soft for our tastes at the shortest focal length of 9mm. The essential absence of corner shading / vignetting at all focal lengths is impressive, and the close-up performance is also surprisingly good for a lens this wide. All is not rosy though, with chromatic aberrations in particular being too high, even by ultra-wide standards. The lens' "native" barrel distortion is also very strong at the wider end of its zoom range, although with the in-camera auto-correction being as effective as it is, most users will likely remain unaware of this issue. Impressively though, distortions are basically non-existent at the other end of the range, even in the uncorrected raw images. As far as alternatives go, there aren't many choices. In fact the only other rectilinear MFT lens that goes this wide - and wider still - is the Panasonic LUMIX G VARIO 7-14mm F4.0 ASPH. Optically superior and offering a constant f/4 maximum aperture, the Panasonic lens is considerably heavier and more expensive, and lacks the Olympus' ability to take filters. For the "regular" Four Thirds mount, there are more alternatives, including both a 9-18mm and a 7-14mm lens from Olympus, and a 10-20mm zoom from Sigma, but all of these lenses are bigger, focus slower, and require an adapter for use on Micro Four Thirds bodies - meaning they aren't really viable options unless you also own a Four Thirds DSLR camera. All things considered, we thoroughly enjoyed shooting with the Olympus M.ZUIKO Digital ED 9-18mm f/4-5.6 lens, and can highly recommend it to any Micro Four Thirds user in the market for a wide-angle lens.